Thank you so much to The Heather Brown Gallery Osaka staff and everyone who came out to my show yesterday in Osaka! I had a great time and it was so nice to see so many familiar faces and meet so many new people that enjoy my art! Today, Sunday October 19, 2014 will be my last show for this Fall Tour in Japan. Today will be at Osaka Takashimaya! Tomorrow we fly to Australia to take part in the annual Byron Bay Surf Festival! 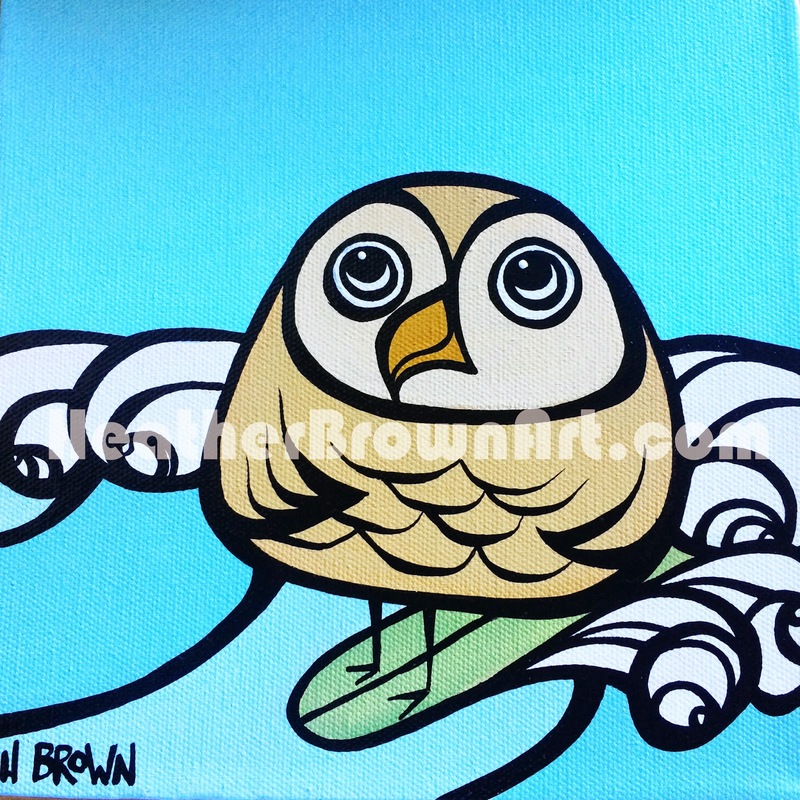 Come check out this little original of Dale from Bird Party the Band surfing in Waikiki and many more!